With Mike Ambrose ON THE SOAPBOX this week we have held back our report on the ERA AGM which took place 22-24 September. 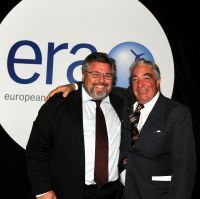 As more than 500 aviation delegates gathered for ERA’s Annual General Assembly at Barcelona’s Catalonia Congress Centre there was a modest but welcome sign of gradual recovery from the global financial crisis. However, the cost of meeting the unlimited liability for meals and accommodation of passengers, required by Regulation 261/2004, during the volcanic ash crisis, in addition to the loss of revenue from cancelled flights, has led to significant losses for airlines in certain parts of Europe. All things considered the turnout was impressive. 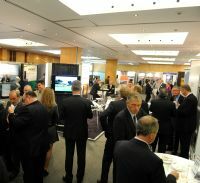 558 delegates, 48 airlines, 13 airports, 67 suppliers and service organisations and 40 exhibitors, record figures. The “rain in Spain” certainly fell but the traditional pre-event golf tournament went ahead as planned and proved a great success. Delegates attending the Industry Affairs Work Group enthused about the central role the ERA Directorate has taken in tackling passenger rights issues in the European institutions. Operations and Maintenance Work Groups were also held and also had excellent turn-outs, with much to discuss and with a new Work Programme looming for 2011. Both of these gatherings were prior to the official opening of the Assembly as was an Embraer press briefing, another tradition well attended. The first working day started with a Media Breakfast sponsored by Sky Work Airlines of Berne (Switzerland), Mike Ambrose making the introductions. "The Media Breakfast has traditionally been an opportunity for member airlines and airports to speak to the media, and to meet each other. This year we're delighted that sponsorship has been taken up by Sky Work – a very smart thing to do as you get to speak to the journalists first." Mr Ambrose spoke about the year. 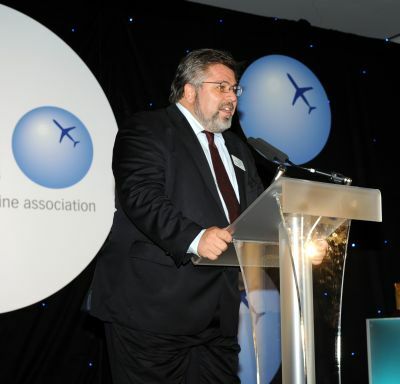 "2010 started quite well for most of our airlines and the start of our Regional Airline Conference (RAC) in Edinburgh (in April) was quite upbeat. Then about 2100hrs on the first day we heard that Mount Eyjafjallajökull had erupted!" He also pointed out that the decision that led to wholesale airspace shutdowns was based on forecasts churned out by a system based on the same software that was used following the Chernobyl nuclear disaster in 1986. Mike Ambrose also ran through other issues which are dominating the work of ERA at present, such as the proposed new accident investigation Regulation which "fell off the back of a Brussels lorry...we were able to propose amendments but then discovered that it was being fast-tracked behind closed doors. The [European] Parliament and Council rubber stamped it. This is a misuse of a facility that is for emergency situations. So it was signed off without expert input from the industry although some of our initial amendments were incorporated. Other issues that were of concern, the ERA DG continued, included who was going to pay for the Single European Sky project, EC reviews in key areas such as passenger rights, air transport policy and slot allocation, and one theme that is increasingly running through various issues – that aviation should be treated fairly vis-à-vis other modes of transport. ERA President Antonis Simigdalas (Chief Executive Officer of Olympic Air SA) gave the Board Report, stating first that "this has been a very strange year. Just when we thought everything had happened to us, even more happened – and nobody had thought of a volcano." Simigdalas told the audience that the democratic process in Europe was "seriously flawed." "Speaking as someone who participated in the design of the whole system before 1992, it has eroded into a club of 27 members each pushing to influence the overall result – which by no means has been optimal." He continued by saying that concern over what might be causing EU disarray "led us to start looking behind the scenes – and the answer [to the EU's current lack of efficiency] is that there are different goals and agendas – and this was very evident during the volcanic ash crisis." The most recent example, he said, was with the sudden pushing through of the accident investigation regulations. "We thought we were in a position to contribute our expertise," said Simigdalas. Bertholt Flick, President and CEO of Air Baltic, welcomed panel members Laurie Price, Director of Aviation Strategy at Mott MacDonald; Paul Steele, Executive Director Air Transport Action Group; Malcolm Hart, CEO of Aurigny Air; and Jan Palmer, formerly of Skyways and now CEO of Amapola Flyg. The initial discussion centred on a delegate poll which asked first, are you optimistic or pessimistic about the industry recovery (89% optimistic); and whether the current working methods of the European Commission were appropriate to take air transport forward (No, 83%; Yes, 17%). Malcolm Hart said: "I checked the optimistic button almost by definition but it's an industry that's never made any money from the Wright Brothers onwards. We're poor because people fall in love with aeroplanes and take huge operational risks while others make money. We need some stronger management, particularly in the regional industry – people who will refuse to grow if only others are going to make money after it." Hart continued: "I'm fed up with coming to ERA [events] and hearing moans about the EC all the time, but if they'd just ask about legislation before creating it things would be much better." Another key feature of the session was a discussion about the EU Emissions Trading System (EU ETS) with panel members variously commenting that a global industry needed a global solution; that ETS is "the most ineffective way as it takes money out that is needed to improve environmental performance"; that studies in other industries have failed to show that such schemes are effective; that the aviation system is based on a design created for fixed-base emitters of the power generation industry, not mobile emitters; and that methane from "farting cows" is a significant problem (methane having far more climatic impact than CO2) yet farmers receive "huge subsidies". The next presentation was an excellent overview of passenger rights legislation development in Europe by John Balfour, partner at ERA member law firm Clyde & Co – linking it to the volcanic ash crisis which highlighted more than ever the flaws in EU Regulation 261/2004. He described the European Court of Justice decision in the Sturgeon case as "an appalling judgment where the court rewrote the law by saying that airlines had to give compensation for delays of over three hours." He noted that this is now subject to a reference from the High Court in England & Wales. 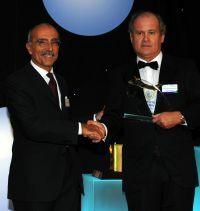 Binter Canarias has been announced the winner of the European Regions Airline Association (ERA) Airline of the Year 2010/11 GOLD Award. The carrier has previously collected three ERA awards, including the ERA GOLD Award in 2005. New President of ERA is Marc Lamidey, President & CEO, Brit Air.